I know I need to add bleach and ideally drop the CYA down to the 40 range. I think I also need to bump of the CH. I will see if I can find deicer at the hardware store. 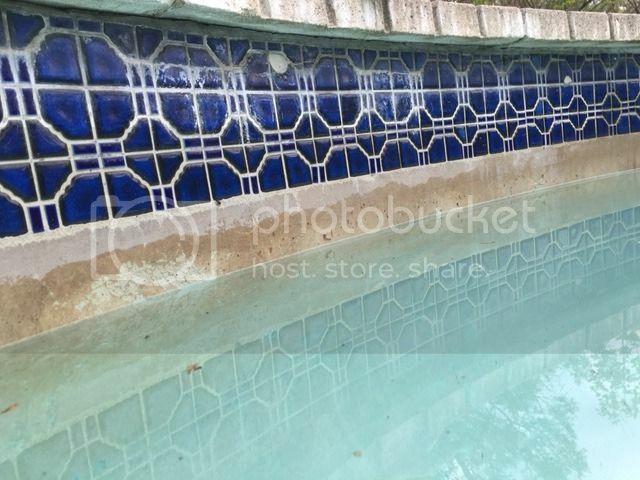 While uncovering the pool, I noticed a few small chunks of cement/putty/grout (something along those lines) on the pool floor and a few smaller tiles had fallen out as well. While inspecting under the edge of the coping,I noticed a few long cracks above the water line. 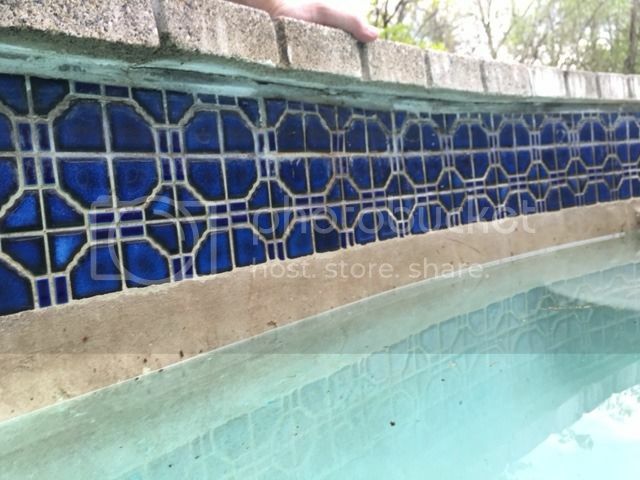 It looks like the cracks run along the grout line in between some of the tiles. (you can see some staining below the crack as well from "stuff" leaching out of the crack). It looks to me like the cracks have been there quite while, but it's possible they expanded over the winter. There are also sections of the grout above the tiles / under the coping that have fallen out. I don't think any of this is structural, but I would like to get it sorted either way. Pool was built in 1986. 1. Is this something I should be concerned with? i.e. - related to structural issues? 2. Is it likely caused by the water not being lowered enough during the winter / ice expansion? 3. How should I fix it? 4. The plaster is generally kind of beat up and stained. I'm assuming the only option to improve that would be to drain and have the plaster redone. Here are some pictures to show the damage. I'll try to add a better one tonight. Also a picture of the entire pool right after removing the cover. 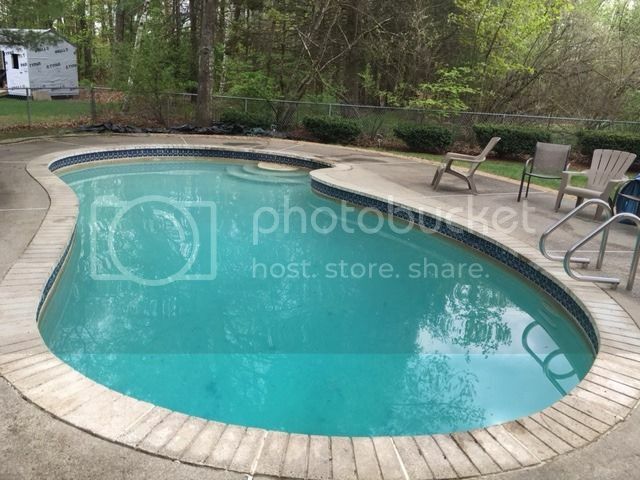 Assuming my testing is correct, it seems my pool is closer to 15k gallons than the 18k the previous owner told me. Also, learned an expensive lesson on my first bleach addition... Change out of work clothes before adding chemicals!